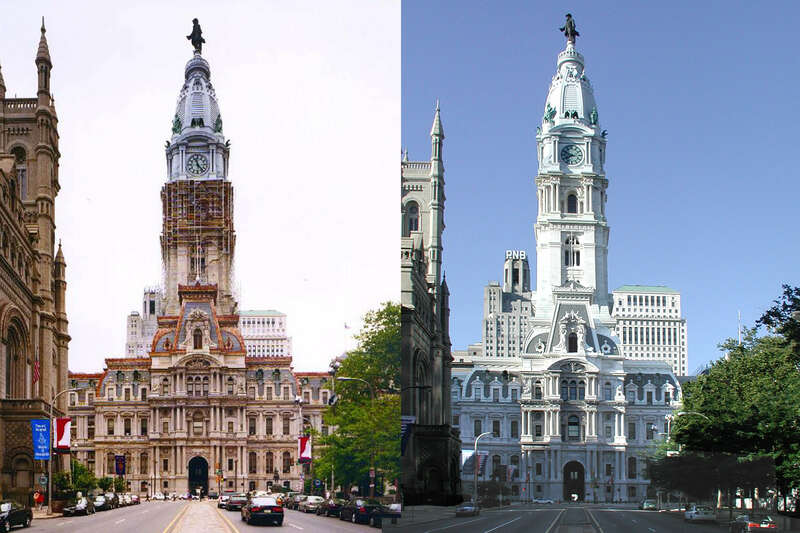 Proclaimed “the greatest single effort of American architecture” by the American Institute of Architects, Philadelphia’s City Hall was at one time the world’s tallest building. 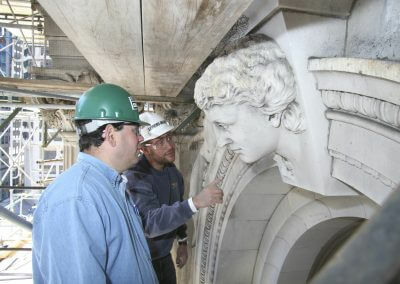 At 548 feet tall, it is still the tallest masonry load bearing structure in the world. 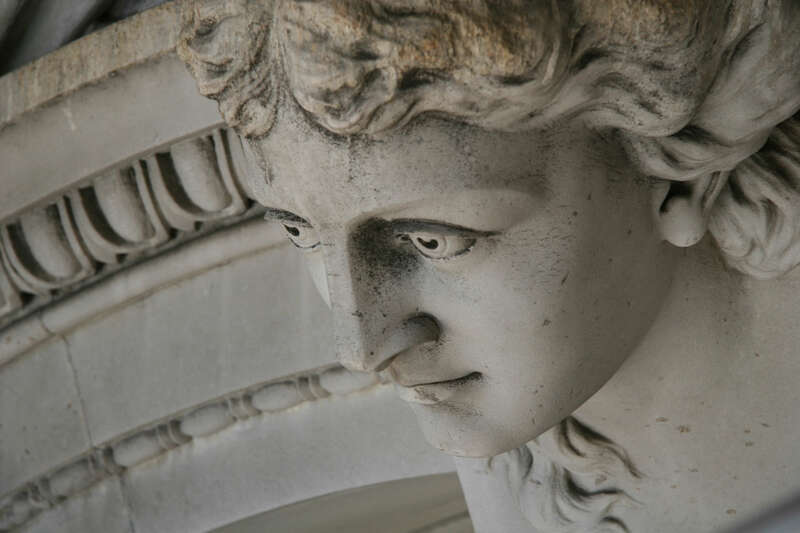 The entire building consists of 342,000 square feet of marble, 41,000 square feet of granite, and over 250 marble sculptures. 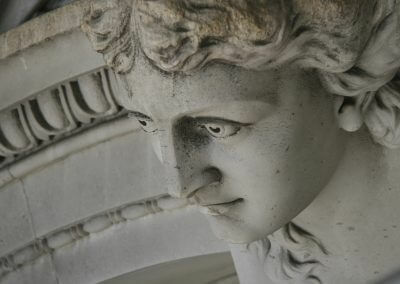 It is on the U.S. National Register of Historic Places and is a U.S. National Historic Landmark. 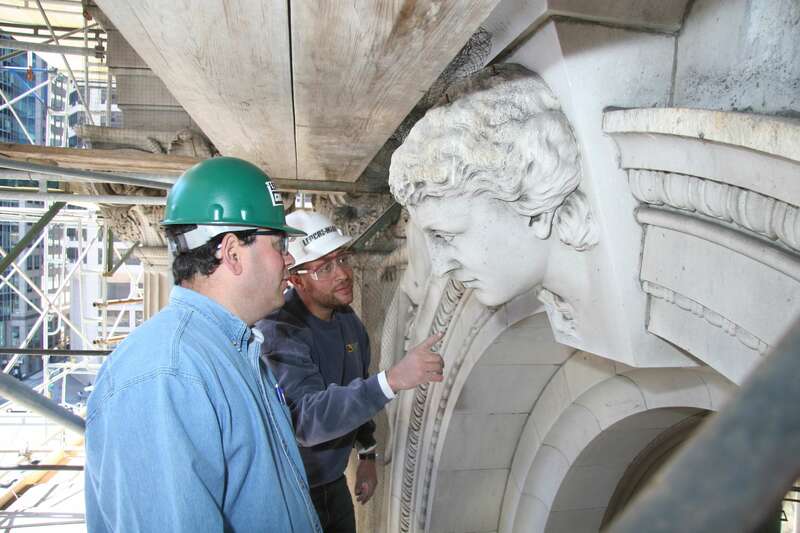 The building had fallen into disrepair and the challenge was to take this iconic structure and restore it to its original grandeur. 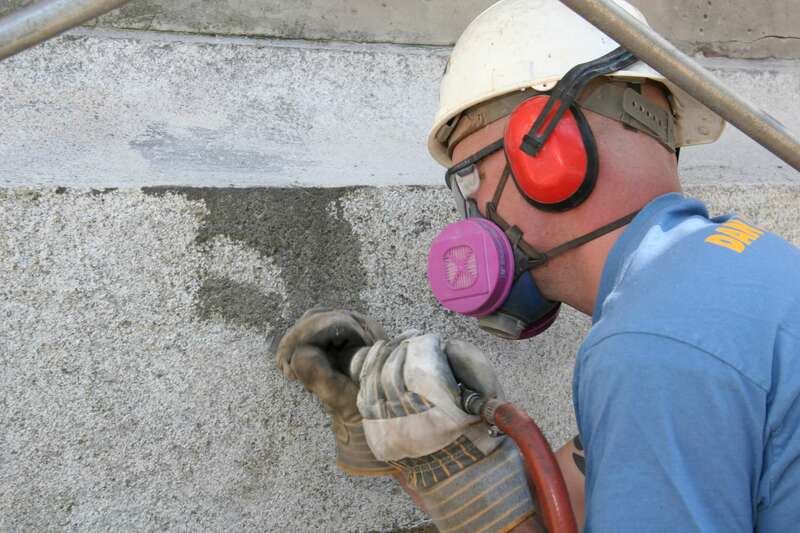 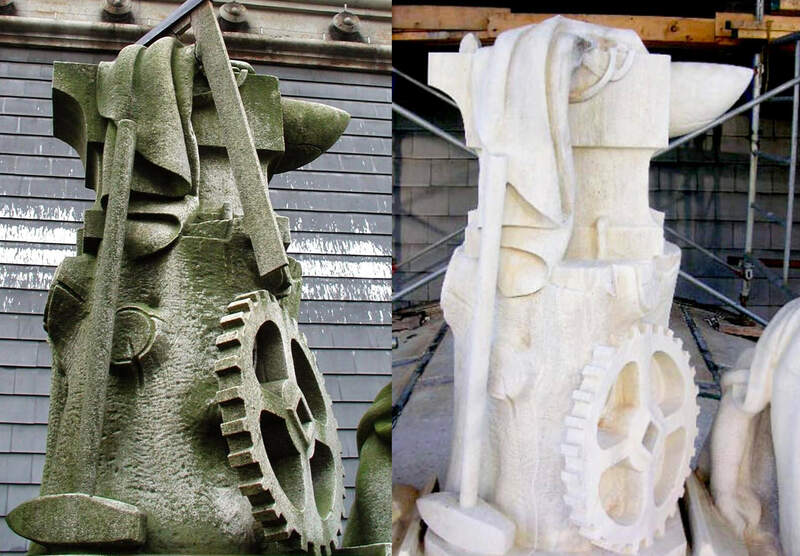 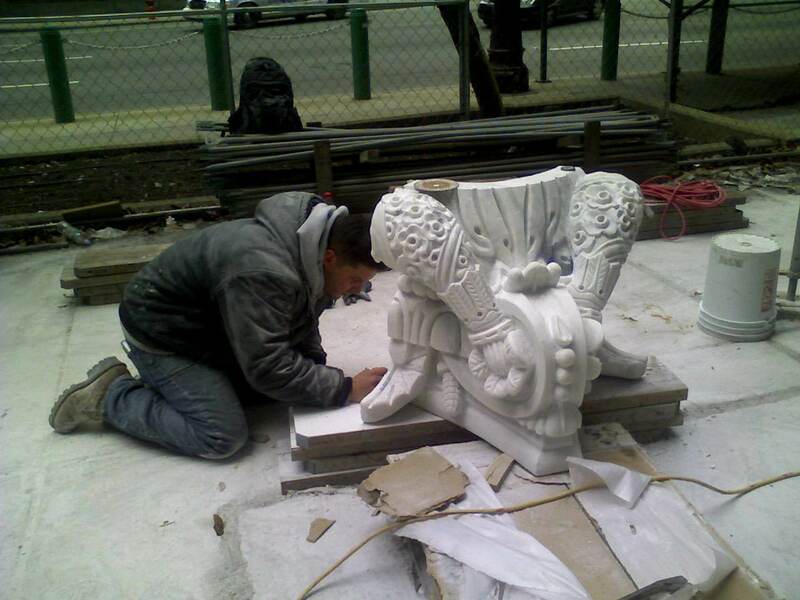 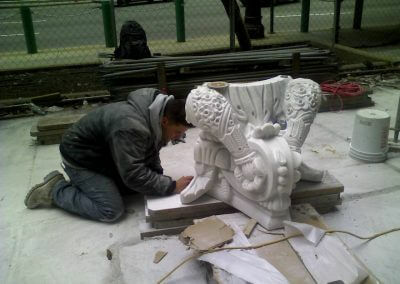 Lepore provided a full range of stone and brick restoration services including patching, crack repair, dutchmen repairs, reproduction, full unit replacement, pointing, and cleaning. 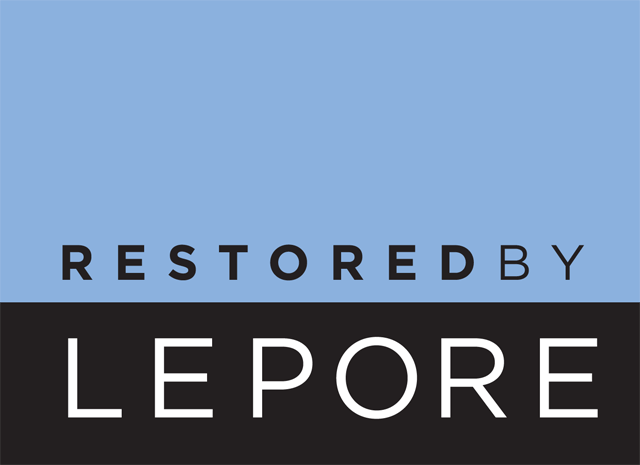 The restoration drew heavily on Lepore’s unique expertise in many areas. The workers from Lepore were required to demonstrate proficiency before they could complete the work on the building. 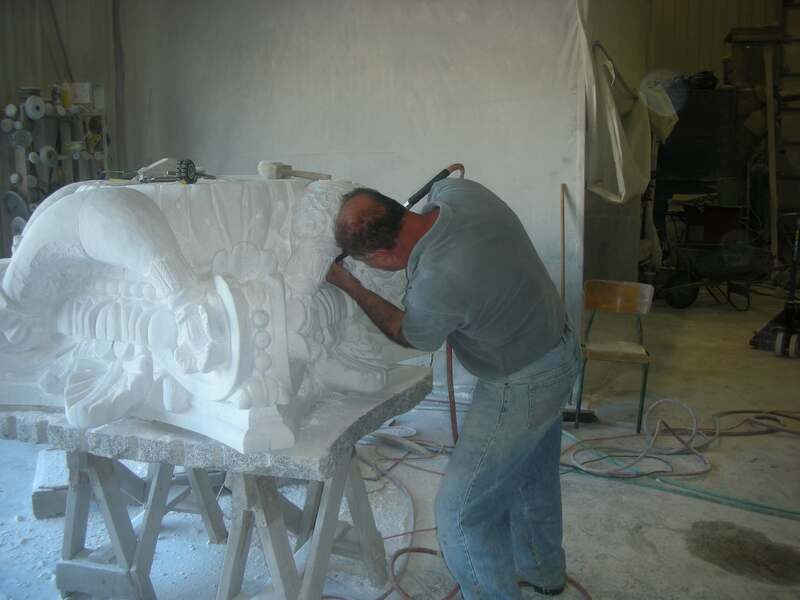 They were required to demonstrate skill at cutting, pointing, and cleaning. 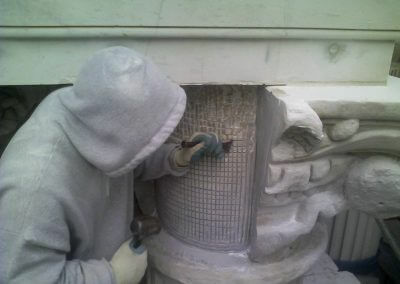 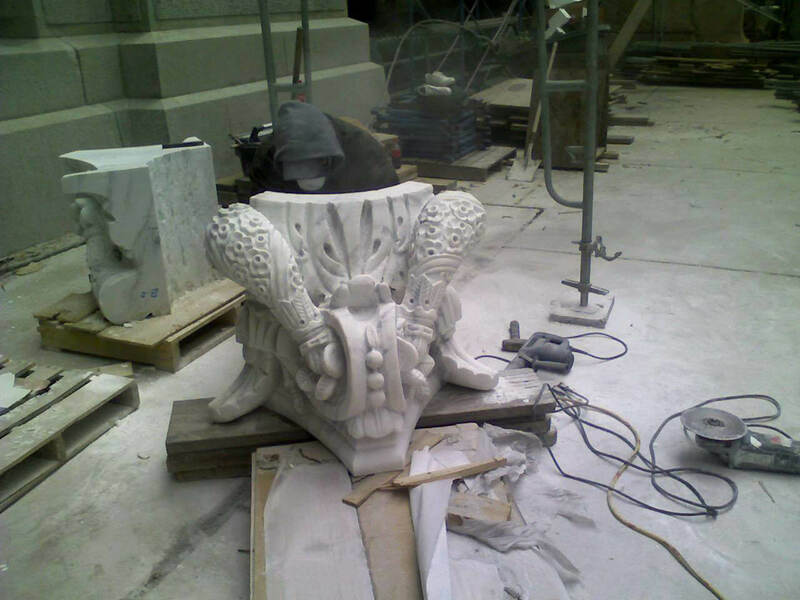 They were also required to provide certificates that they had been trained for the installation of Cathedral Stone Jahn composite patching material. 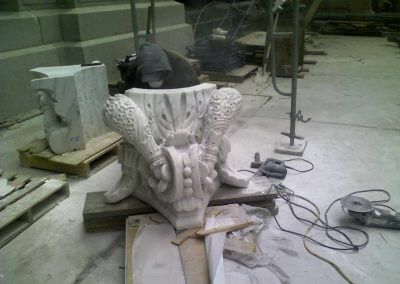 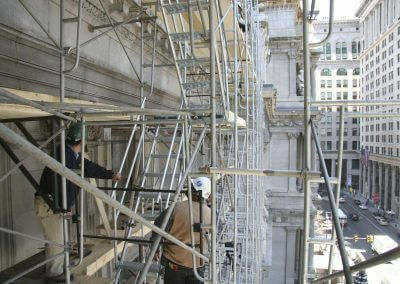 From the ground the repairs are indistinguishable from the original, reinstating the original grandeur of City Hall. 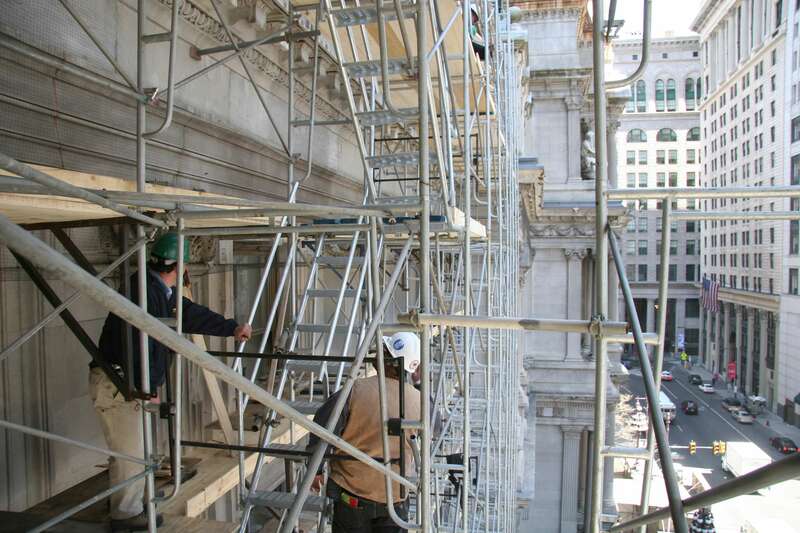 Philadelphia City Hall is on the U.S. National Register of Historic Places and is a U.S. National Historic Landmark.